Hi Friends, welcome again to our avjtrickz. Are you a Samsung 4G user? or going to buy a new Samsung device. Then here is best Internet data offer for you. 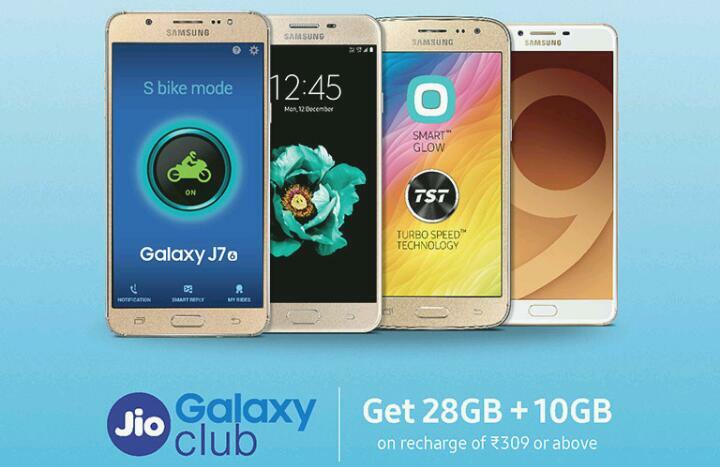 Jio Comes again with Free Data Offer For Samsung 4G Devices. Jio already given Free Data offer for Xiaomi users. In this offer they Giving Free 10 GB additional 4G Data with recharge of Rs.309 or Rs.509. However this is only for limited customers. Read full article to know you are eligible or not! 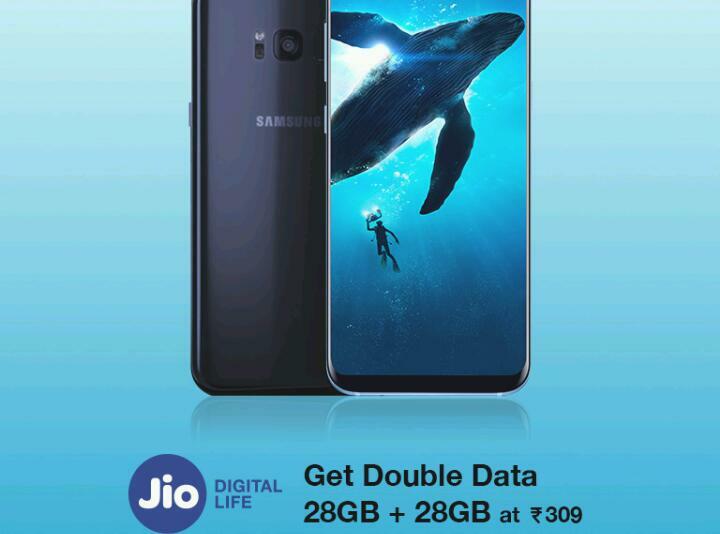 The primary condition to eligible for this offer is you should be a prime member and RJIO customer on or after June 16. Also you should have the eligible Samsung 4G device (device list given below) . This is limited period offer and also limited no of recharges will get the benefit of this offer! 4. You Will See The the Additional Data Voucher added under the My Plans section. 5. if you are recharge for first time you can get 3 month duration until Jio dhan dhana dhan offer is active. 1. Eligible Device Group-1 shall mean the mobile devices of Samsung India Electronics Pvt. Ltd. (“Samsung”) brand viz (a) On8, (b) On 5 Pro 2015, (c) On 7 Pro 2015, (d) J7 2016, (e) J7 2015, (f) J5 2016, (g) J5 2015, (h) J3 2016, (i) J3 Pro, (j) J2 2016 & J2 Pro, (k) J2 2015, (l) J1 Ace, (m) Grand Prime Plus, (n) J1 2016, (o) J2 Ace, (p) Z2, and (q) J Max, where the services of RJIO are activated for the first time on or after 16th June, 2017 and can be avail this offer 3 times ( 3 recharges ) within the offer period. 2. Eligible Device Group-2 shall mean the mobile devices of Samsung brand viz (a) S7 Edge, (b) S7, (c) S6 Edge +, (d) S6 Edge, (e) S6, (f) Note 5, (g) Note 5 DS, (h) Note 4, (i) Note 4 Edge, (j) C9 Pro, (k) C7 Pro, (l) A9 Pro, (m) A8, (n) A7 2015, (o) A7 2016, (p) A7 2017, (q) A5 2015, (r) A5 2016, (s) A5 2017, (t) J7 Prime, and (u) On Nxt, J5 Prime, where the services of RJIO are activated for the first time on or after 16th June, 2017 and can be avail this offer 6 times ( 6 recharges ) within the offer period. 3. Click Here to Read full terms and conditions For Eligibility.